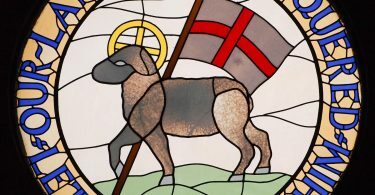 The Moravian Church of Western Tanzania’s orphan program began in 2002 with the intent of keeping children in their extended families and on social and economic par with their peers. Education quickly became the primary focus, with the ultimate goal of assisting orphan children in becoming productive citizens of their developing country. Primary and secondary education is tuition-free in Tanzania. The church’s program provides orphans with their uniforms and school supplies as needed. Scholarships are available for those who are able to pass the country’s entrance exams to high school and the university. Orphans who have chosen to continue their education through vocational training are also awarded scholarships. In the city of Tabora, where the program has 305 children, training is available from VETA, the Vocational Education Training Authority, in carpentry, masonry, computers, industrial mechanics, electricity, law enforcement, sewing, driving and accounting; each of these nine curricula has significant numbers of orphans enrolled. In 2015, the central government began encouraging graduates of these programs to group together to form new businesses. They distributed applications for financial assistance to classrooms and workshops. Government funding never materialized, but the new businesses did. Multiple groups began forming independently, setting their own regulations, and choosing their own leaders. Most function from 9 a.m. to 4 p.m., depending somewhat on the work available. One person is typically selected to solicit new work orders from the community. Three of these new groups are unique; they are made up entirely of graduates from the church’s orphan program who had worked together at VETA. Each has received extensive guidance from Kefas Kabata, the person in charge of the work in Tabora. 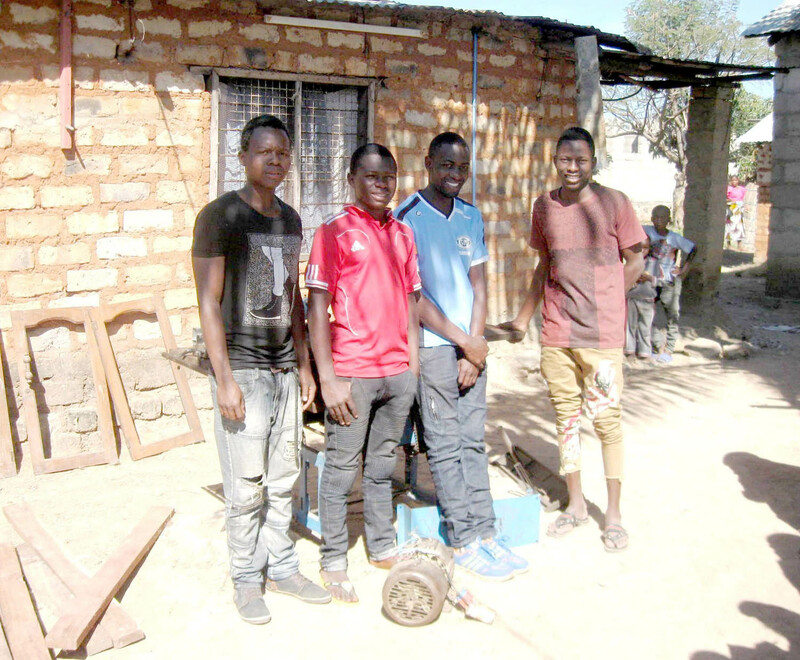 One year ago, Pascal Theodol invited three young men who had trained with him to start a carpentry shop in front of his grandmother’s home in the Isevya parish. Last February they borrowed $1,400 USD, a very substantial sum in Tanzania, to purchase a lathe; their enterprise has been so successful that half of their loan has already been repaid. 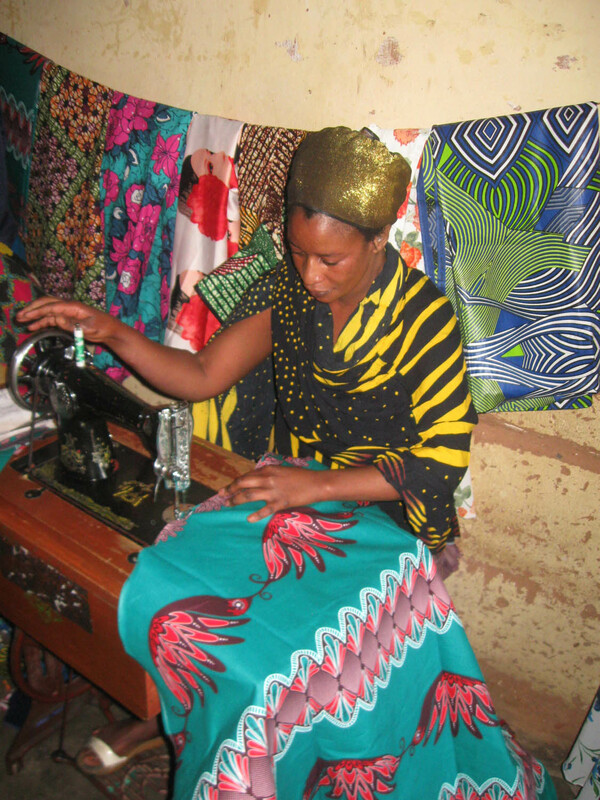 In the same parish, eight girls banded together to form a seamstress group headed by Salima Issa. 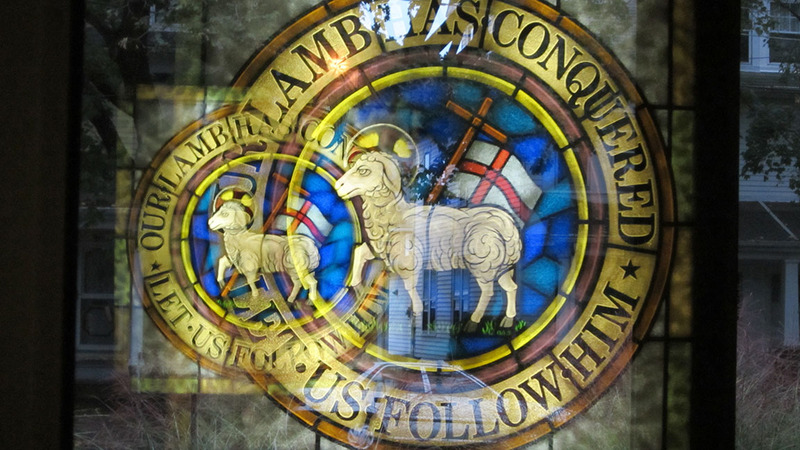 A Moravian family who had set up a shop in front of their house offered the space to the group, which quickly accepted their invitation. Presently they have only one sewing machine, but as orders have increased significantly, they are planning to purchase three more in the next month. 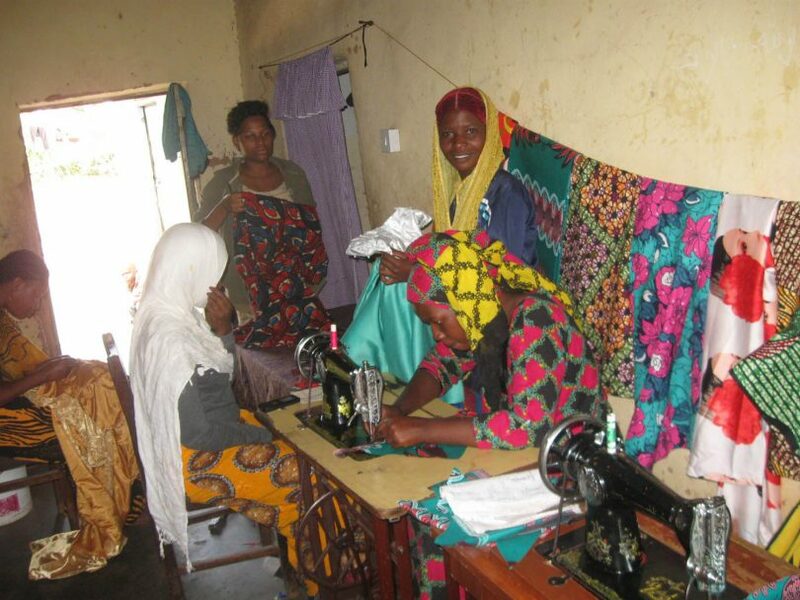 A second sewing group, located in the Moria parish, consists of six young women led by Mwamvua Abed. They own one machine and are currently renting a second in order to complete their work orders in a timely fashion. Neither of these sewing groups has access to electricity; both use treadle machines and press their finished products with an iron filled with glowing charcoal. These 18 graduates of the Tabora orphan program, as well as many others who are working either independently or in other groups, have achieved the ultimate goal of the orphan program. They are not only able to support themselves, they are also contributing their talents to the benefit of their communities. Drs. Bill and Peg Hoffman serve the Adopt-a-Village program in Tanzania.